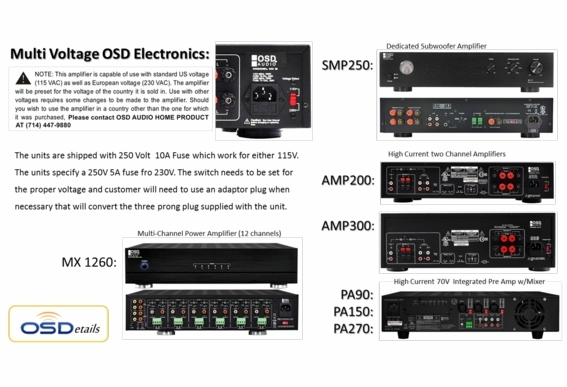 The OSD Audio PA150 Commercial Integrated Pre AMP/ 120 Watt Power Amplifier is the ideal control center for restaurants, meeting halls, schools or other small, commercial venues where multiple microphones and line audio sources are needed. 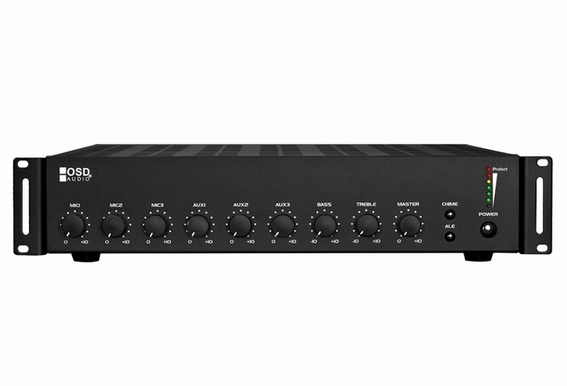 This versatile, powerful and affordable commercial amp features 3 XLR microphone inputs and 3 signal-level inputs, plus front-mounted gain control knobs, master bass, and treble. 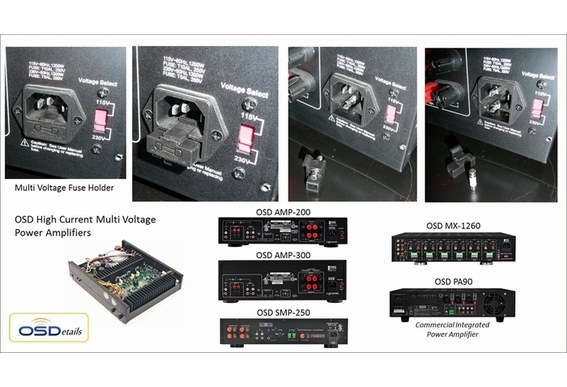 An upgrade typically found on more expensive commercial amps, the PA150 also features chime and alarm buttons. The chime button temporally mutes the system when pressed, while the alarm mutes the system and rings until the button is released. 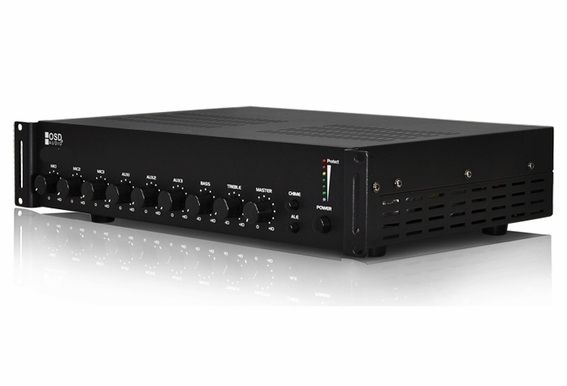 The PA150’s XLR microphone inputs and signal level inputs can be connected to sources like CD players, TV outputs, Smartphones, MP3 players, and the unit even includes a telephone input. 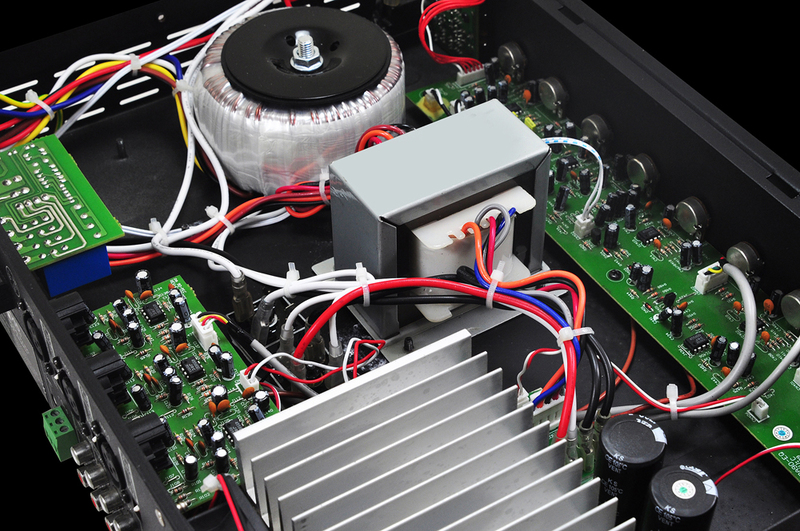 The amp’s output options (70 Volt, 100 Volt or 8-ohm mono) can also be set up to power 5 to 10 speaker 70V systems. Is there a good location to Ground the Chassis? 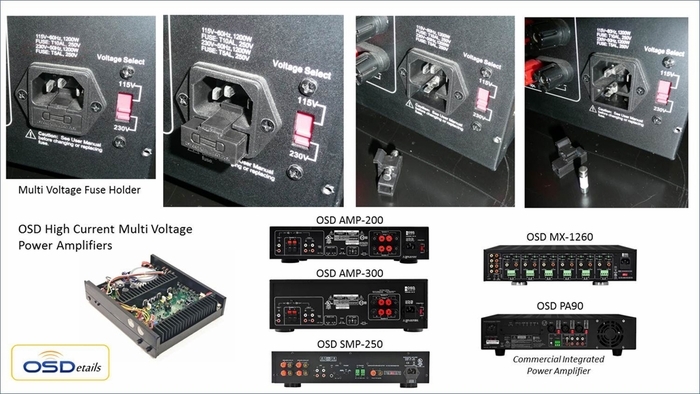 I know the Power Plug has a Ground to the outlet, but is there a location on the Amp Chassis to run another Ground to the Building? I have had Two Amps fail after Lightning has struck near by. How many AP850 70v speakers can this power? We're looking at 4-6 speakers. 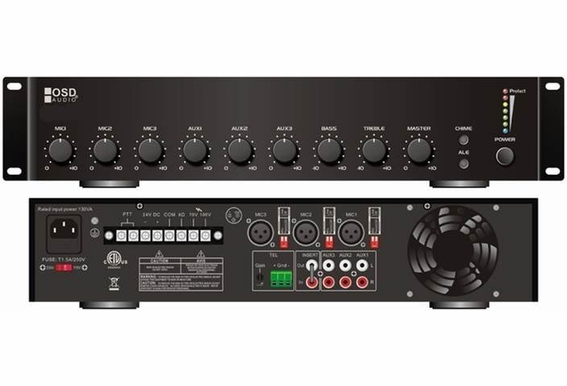 how do you switch between AUX inputs? I don't see a select switch on front. Can I drive more than 10 speakers ? 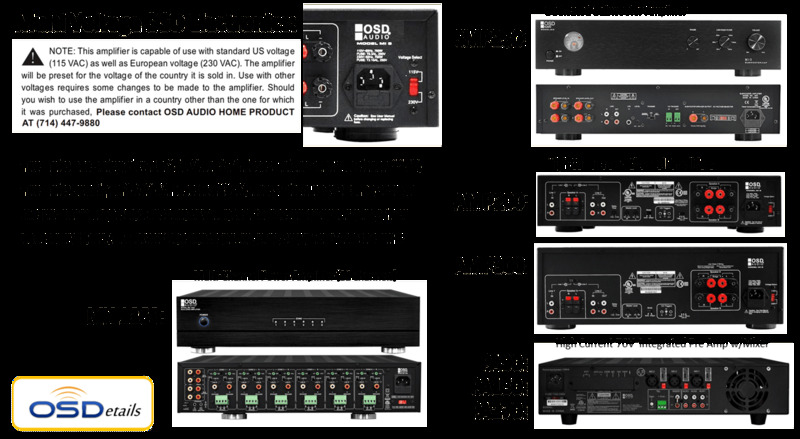 Purely depends on the wattage each speaker is set to. 10 speakers set at a max of 12 watts would use up the full 120 watts. What is the best source of music to imput into this amp? And where is the best place to buy a mic? 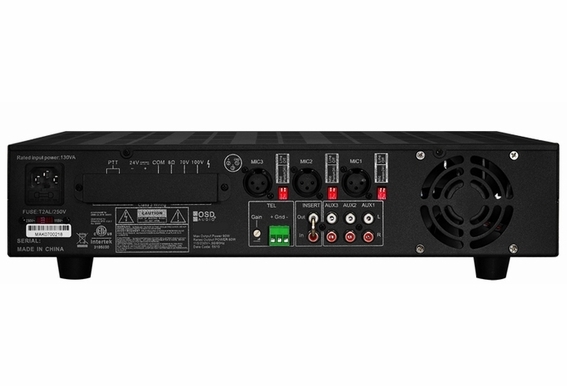 Is this a 120W RMS amp or just normal120W?